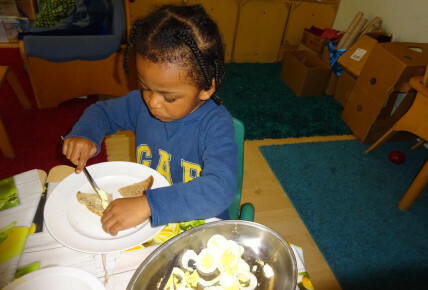 The children along side the Chef will be making there own bread this week and then filling it with various types of fillings . 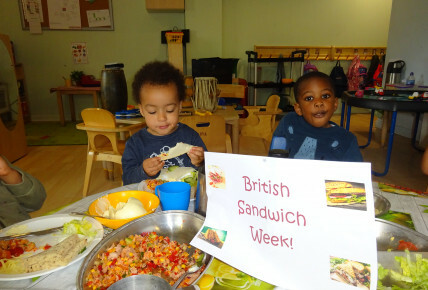 The pre-school children will conducting a survey on what the favourite sandwich filling is in the class and what the favourite type of bread is. 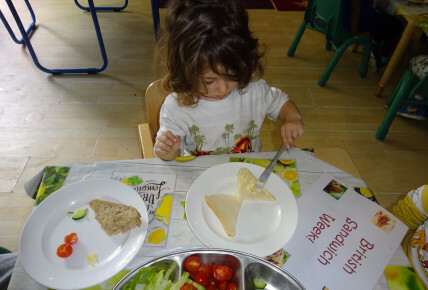 The survey showed that white bread was the childrens favourite !